1-1/2" wide genuine full grain leather belt. 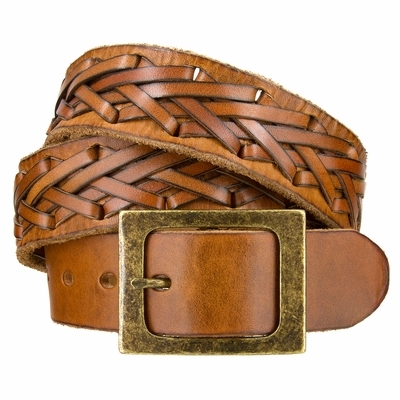 Hand laced braided belt with a antique brass center bar buckle. 5 hole and no loop. Made with two snaps for interchangeable buckles: snap off and snap on. Belt can be match with white, tan, khaki, brown, jean blue, and black.